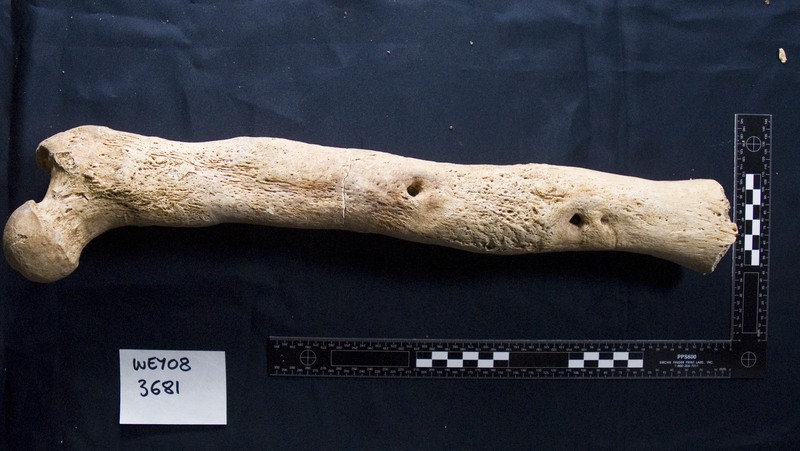 The remains of around 50 decapitated Vikings unearthed in 2009 during the construction of the Weymouth Relief Road in Dorset on the southern coast of England were not the elite fighting force sung about in the sagas. They weren’t even garden variety Viking raiders. Researchers have found no evidence of previous fighting injuries which means if they were in England to raid, they were novices at it. The early forensic examination of the remains pointed to this being a Viking raiding party who met a grisly end at Anglo-Saxon hands. The skeletons were all male, seemingly in good physical condition. 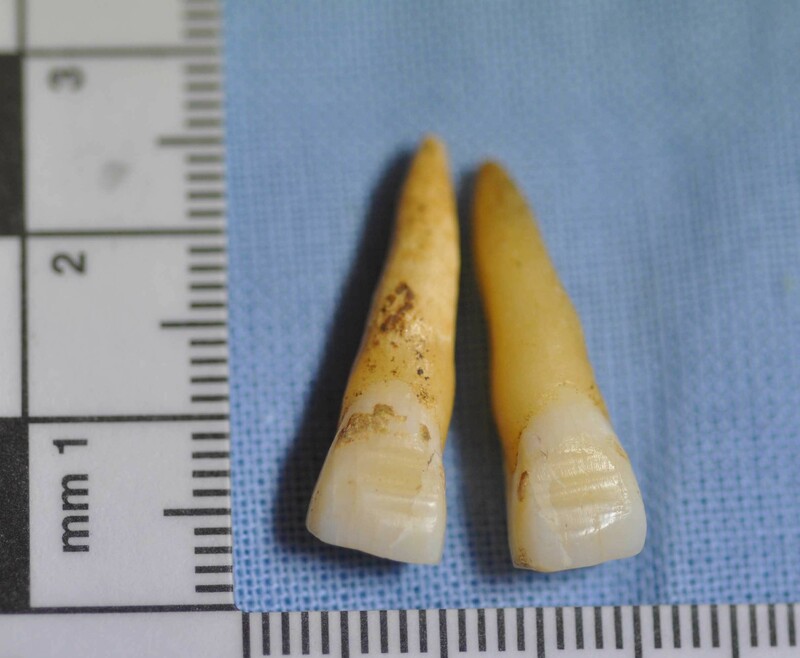 Stable isotope analysis of their teeth confirmed their Scandinavian origin. They all spent their early childhoods in the Arctic and sub-Arctic areas of Norway, Sweden, Finland, the Baltic States, Belarus and Russia. The bodies were on one side of the pit while the heads were stacked on the other side. Defensive wounds were found on hands and arms, but the fatal wounds were on the necks, skulls and shoulders. These were not clean decapitations. The heads were cut off in several sword blows from the front. There were no artifacts interred with them, not even any clothes, suggesting they were stripped before or after death. Further osteological analysis found that the skeletons dated to 970-1025 A.D during the reign of Æthelred the Unready or Cnut the Great. Almost all of the men were between 18 and 25 years old. There were outliers, though: one youth in his early or mid teens, and one senior who was over 50 years old at the time of death. Several of the men had filed teeth, a Scandinavian practice of unknown symbolism that may have been an indicator of social status, specific occupation or a way to make the battle grimace scarier by filling in the dental grooves with paint. 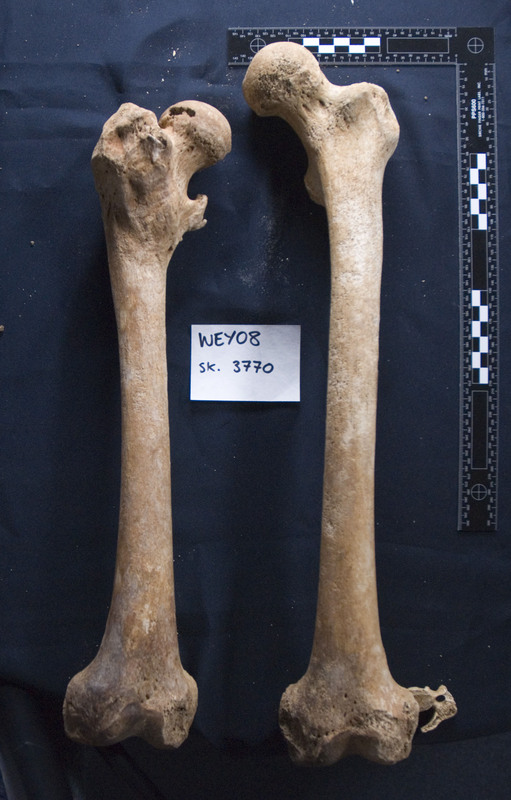 Another raider had a healed fracture to his right femur that left his right leg significantly shorter than his left. 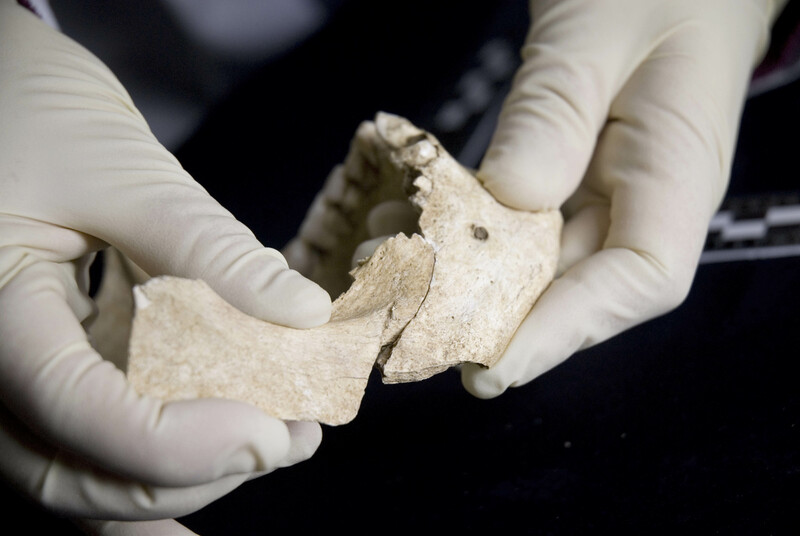 A kidney or bladder stone was found among the skeletal remains. Some of the men had what researchers think is brucellosis, an infectious disease transmitted from unpasteurized milk or other close contact with the secretions of infected animals. It causes joint and muscular pain and at its worst, can result in arthritis, meningitis and neurological disorders. Some of these remains, including the suppurating thigh bone, are now on display at the British Museum’s Vikings: Life and Legend exhibition. Although the British Museum was already well into the planning of the show when the Weymouth pit was discovered, they immediately moved things around so there would be room in the display for the decapitated raiders. 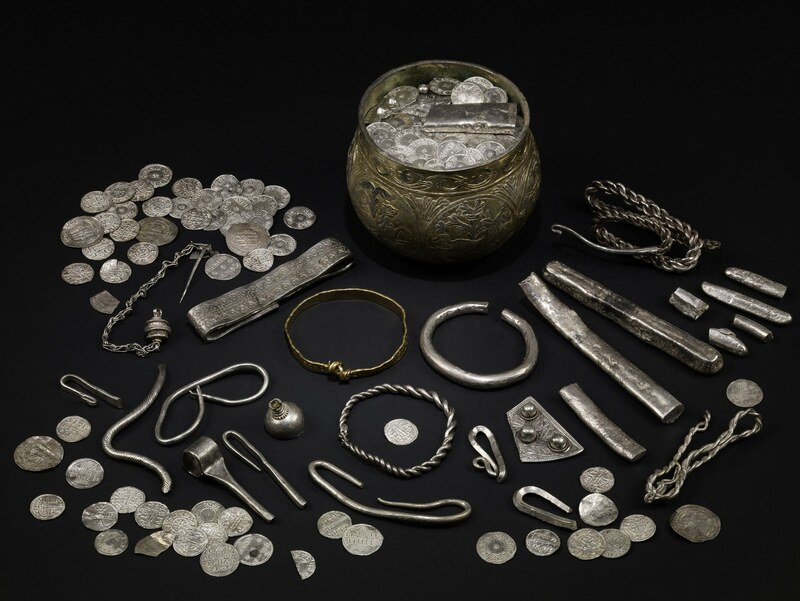 The exhibition runs from March 6th to June 22nd and will include among its many treasures the first public display of the entire Vale of York Hoard. In September, the Dorset skeletons will travel to the Museum of Prehistory and Early History in Berlin. In January of 2015 they will return to England where they will find a permanent home in the new Ancient Dorset gallery of the Dorset County Museum. There they will be displayed in their original positions in a reconstructed version of the burial pit.